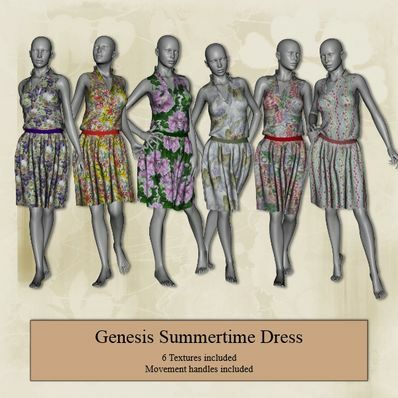 A Summertime Dress for Genesis for use in Daz Studio 4.6. Lovely dress, especially with a pair of sandals (Not flipflops). What a beautiful dress and love those extra textures you always give us, thank you so much!